HELOG Academy e.V. is the successor of the HELOG Aviation business. The company benefits from its predecessor of more than 40 years’ expertise in operational and technical aeronautical matters. 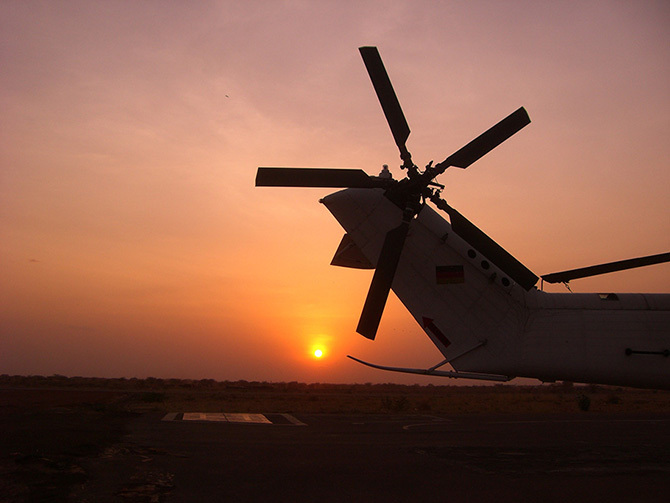 These companies has been famous in their field of helicopter operation: heavy lift transport, precision aerial assembly work and timber logging, missions flown by HELOG helicopters for various customers in Africa which has been as diverse as the continent itself. However, the rapid change of the market environment in the Aviation industry demanded a structural and strategic alteration of the business followed by consequently withdrawing from the active flight operations and heading towards affiliated services. All over the time training was a passion of the management and was actively exercised during many years. In 2012 the management redirected the business to training offers and other services by using the extensive experience generated in the past. For HELOG today Africa is much more than just a place to do business. Through its economic activity alone, HELOG provide sustained support to development in the different regions. Moreover HELOG is committed to various social and societal projects which illustrate its new standard field of work.